Include Braille Rules on How to Play Uno for $5.00? Deck includes 108 Braille-embossed playing cards. Here is an all-time favorite among kids and parrents alike! Ohno has become one of the most popular family card games of all time, and we're proud to offer a Braille version. 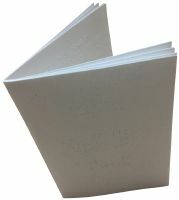 Every card, from the regular number cards to the action cards, is Brailled with the number or action, and the color of the card. Of course, the cards are also printed, complete with pictures and colors like a regular Uno deck. Similar in play to games like Crazy Eights, Ohno is one of those games you can play again and again ... and never tire of the excitement of cards like Wild and Draw 2. UNO is one of the world's most popular family card games, with rules easy enough for kids, but challenges and excitement enough for all ages. First, deal each player seven cards. The remaining cards should be placed face-down, to form the "draw" pile. Then, turn over the top card of the draw pile to begin the "discard" pile, the pile players will place their cards on top of. The person sitting to the left of the dealer gets to go first. Naturally, the object of Uno is to get rid of all your cards before anyone else does. You have lots of fun cards you can use to make others pick up cards, but of course they can use them against you as well. That's the fun ... and the excitement ... of Uno. So roust the gang for America's #1 card game! It's easy to learn. Here we go. Each player has to match the card in the discard pile either by number, color or word. For example, if the top card on the discard pile is a red 7, a player must throw down a red card or any color 7. Or the player can throw down a Wild Card. If the player doesn't have anything to match, he must pick a card from the draw pile. If he can play what is drawn, great. Otherwise play moves to the next person. You do not have to continue picking up until you come across a card you can play. So what's a Wild? This type of card lets you change the color of play. For example, if there is a blue 3 on top of the pile, and you have more yellow cards you want to play, you could lay down a wild card. Announce that you're changing the color to yellow, and the next player must play cards of that color. Or change the color again with another wild--a nasty but legal trick. You'll also come across cards labeled Skip. Quite simply, this card will skip the person next to you, and let the following player have her turn right away. Found a Reverse card? If you play that card, then the order of play is reversed. Instead of the player on your left playing after you, it will pass to the one on your right. In other words, if play is proceeding clockwise, this card will change it to counter-clockwise. Cards labeled Draw 2 or Plus 2 are pickup cards. The player next to you will have to pick up two cards if you play one of these. Lastly, you will come across cards called Wild Draw 4. This means that, if played, the player gets to change the color ... and the player next to him has to pick up four cards. When you have one card left, you must yell "UNO" (meaning one). 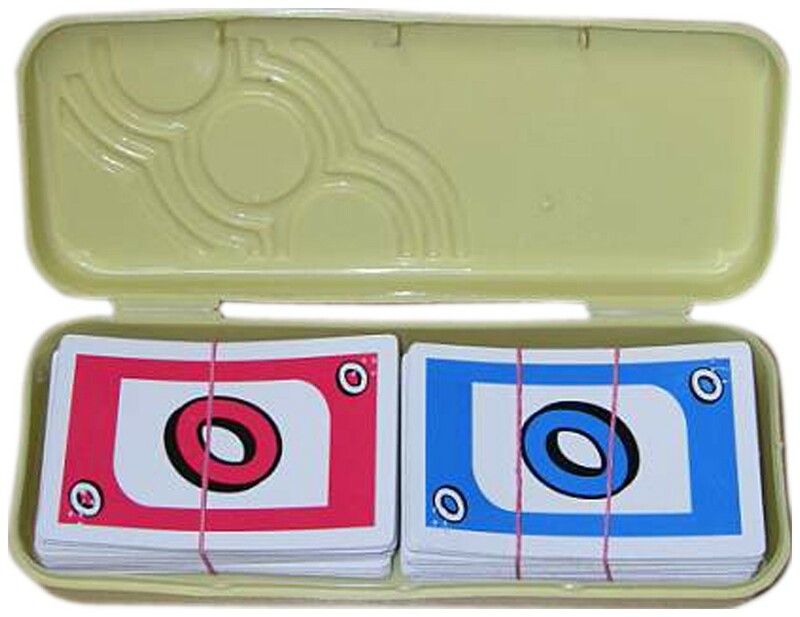 If you don't call "Uno" and you get cought by another player, you must pick up two cards from the draw pile. Once a player has no cards left, the hand is over. Points are scored and you start over again. The first player to reach 500 points wins the game! But don't expect it to be too easy--the UNO card deck is packed with Command Cards that may foil your plans! Important Note: Uno can be varied however you choose, but everyone must agree before playing. That is known as House Rules. Okay? Note: Two Uno Decks are required (add a deck per four players). 4-5 Players minimum is recommended. Starting Play. Every player is dealt 10 cards to begin play. The person to the left of the dealer is the first player, and the beginning rotation is clockwise. The first player must play before anyone else can play any cards. General Play. Play follows traditional Uno rules, except for these notable exceptions. --Drawing cards. A person doesn't skip their turn when they draw cards. A person must match the color of the preceding card or play a WILD card. If the person isn't able to play, they must draw cards until they can. Once a person begins drawing cards, no Speed Rules apply. The first person to go out wins that hand, but that's not as easy as thought! --Going out.. If a player fails to say "UNO" when he has only one card left (and he is caught), he must draw five cards. A player may not go out of the game with a Wild Draw Four card. --Exact Match. A player who has an exact matching card may play out of turn if he plays before the person who should normally go next. For example, if a Green 7 is laid down, any person with a Green 7 may play next. This may occur as many times as there are exact cards out there. After each play, the person who would normally follow the person who played by the Exact Match rule gets to play next, according to normal rules unless another person with an exact match beats them to the play. If the play appears to be a tie, the person whose card is on the bottom is considered first. When all cards are finished being played, play begins from the last person to play as normal. In other words, if rotation was clockwise previously, it will continue clockwise after the last person to play. This play is the same for all special cards (Reverse, Skip, etc�) with applicable rules, except Draw card. (See Double-Double). Here's an example for you. Play is in clockwise direction. If player 1 plays a Green 7, and player 3 also has a Green 7, then she can play out of turn by the Exact Match rule. After player 3 plays, player 4 may play by traditional Uno rules, or any other player may play another Green 7 if he has one. The first player to lay down the card gets the play. Whichever player gets the play, play will continue to the left of him (clockwise direction). --Double-Double. When a player plays the Exact Match rule with a card that indicates a Draw action for the next player, the play differs from traditional rules. As long as people continue to play by the Exact Match rule, the draw total continues to grow! When there are no more Exact Matches, the next player must draw the total number of Draws indicated. For example, if a Yellow Draw Two is played, and the Exact Match rule is invoked three times, then the next player must draw eight (Four times Draw Two)! --Dropping. This rule is an extension of the Exact Match rule. Since a player may play an exact card, it is possible for a player to lay down more than one card at once during normal play. For instance, the color in play is Green, and the next player has three Green 6's. This player may play all three cards at once! --Round-n-Round. When a 0 is played, all players must pass their hands in the direction of play. For example, if play is going in a clockwise direction, then everyone's hand would be passed to the player on their left. Also, a player must say "UNO" if they are handed a hand with only one card. Failure to do so will result in that player drawing five cards. --Scoring. Scoring is the same as traditional Uno. See regular rules for details.